New Bowknot Stone Pattern Lady Handbag is in stone pattern, New and dainty. Made of long lasting PU fabric, no fading and no bad smell. Inner four useful pockets. Also, we have four colors for you to choose, please refer to above picture and choose your favorite color. 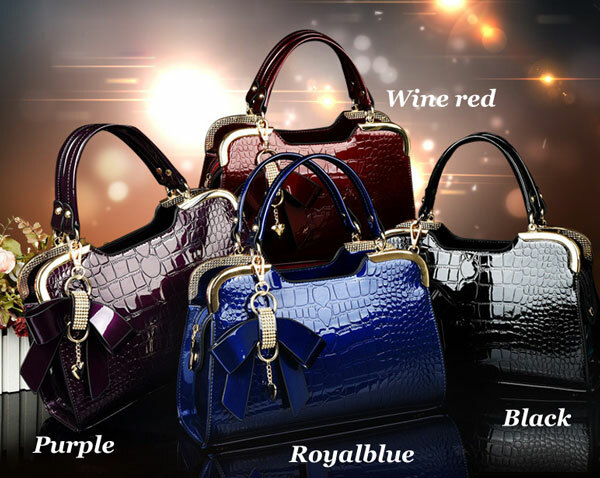 This New Bowknot Stone Pattern Handbag Shoulder Bag is very good for young ladies.